Talk to any leader, and sooner rather than later, the topic of goals will come up. Goals give us a sense of direction. Goals turn our dreams into deadlines. Goals help us break down a larger mission into small, bite-sized, everyday pieces that land on our to-do lists. Ponder this: Do you know why you show up to lead every day? Ultimately, my beliefs were what led me to begin she works HIS way (swHw). I'd love to pretend to be some creative mastermind, but simply put, I just paid attention to what God was teaching me and what others were interested in me teaching them. I began to notice that as I engaged with others in person or online, they came to me when they had a question about faith, family and business. And though the questions women asked came from venues that ranged from in-person events to online interactions, these women had this in common: They were all wives and moms attempting to honor God at home and in their work. Matthew 6:33 promises that when we seek first God's kingdom and righteousness, He orders "all the things." Can we humbly admit that we pretty much always fail when we try to juggle all of life's responsibilities simultaneously? So rather than attempting to order every small detail, we can rest, knowing that as long as He is first, He manages everything else. Productivity in relationships is hard to measure. As working women who love our metrics, it can be easy to feel like our most significant contributions happen outside of our homes. Not only does being faithful with small assignments prepare us for larger ones (Luke 16:10), but we also have to seriously consider the impact of the truth that the roles we hold inside our homes are assignments God has entrusted to no one else. If you're married, God has entrusted no one else to be your husband's wife. If you have children, God has entrusted no one else to be your children's mother. So rather than viewing our family roles as small assignments, we must prioritize their significance. Work was part of God's plan from the beginning. Work is first mentioned in Genesis 2:15, when Adam was given the responsibility to cultivate and keep the Garden of Eden before sin entered the world. After this tragic turn of events, the consequence for work meant there would be now be "thorns and thistles" to make our work more difficult (Gen. 3:17). But it doesn't end there. Sin entered the world, but so did Jesus. There is no reality of our world today that the hope of Jesus has not redeemed and the power of Jesus cannot transform. There's one boss, and He's not a girl. The #girlboss life is more about striving than surrender, more about the approval of others than the approval of God, more about following me than following God, more about what I can do than God can do. And that mindset has no place in a biblical framework. We must take seriously the command of 1 Corinthians 10:31, that all we do is for the glory of God. And He is in charge; we are not. Most everything we really need to know, Jesus has already said. She works HIS way is certainly not the first nor the only place to learn about how faith impacts work. But more often than not, faith-based business training and personal development teach life application, and then sprinkle in Scripture to support it. 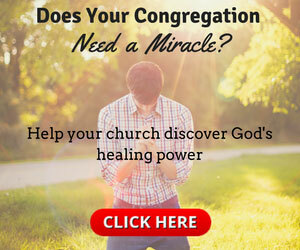 There's a place for that, and we include that in our ministry as well. But the majority of our resources and teaching stem first from God's Word. From the biblical text, we derive how to apply His truth to our lives. Above all else, we pray that most of what we do and say reminds the women we seek to inspire and train of the things Jesus has already said. God's calling on our lives isn't just where He might take us next, but where He has us now. You don't have to wait to serve Him. It doesn't have to look right, feel right or be exactly what you thought it would be for you to be right in the middle of God's will. But we can certainly miss God's will by simply waiting on what's next and wasting where God has us now. Understanding God's calling on our lives is often as simple as asking ourselves, "Where does God have me?" before we ask, "How does God want to use me?" Wherever God has you now, He has plans to use you there. It's up to you to respond to His call in obedience. Our membership is an additional community, not a replacement for biblical community. We wholeheartedly believe that God's first plan for community is found in the local church, so our desire for swHw membership is never in any way to serve as anyone's first place for biblical community. We pray that not only do our members faithfully attend a church in their community, but also that they are active in discipleship, accountability and service. But we do recognize that having support from those who share your season of life and priorities is valuable, so our goal as ministry is to come alongside the local church to equip Christian women for the work of ministry and building up the body of Christ (Eph. 4:12), at home and at work. We should aim to know God more than we aim to be known. "He must become greater; I must become less" (John 3:30, NIV). Talk about a countercultural response. But we have to remember that business strategy doesn't erase the fundamentals of our faith. Jesus doesn't need us to become greater so we can make Him greater. We can simply be obedient, and trust Him for the results. We should consume ourselves with following Jesus, not wondering who is following us. "Then He said to them all: 'Whoever wants to be my disciple must deny themselves and take up their cross daily and follow me'" (Luke 9:23). In today's social-media-obsessed world, everyone wants to be the one others follow, not the one following. But to be qualified to lead anyone at all, we must first be committed followers, encouraging others to follow Jesus with us. Our time is better spent correcting ourselves than correcting others. "You hypocrite, first take the log out of your own eye, and then you will see clearly to take the speck out of your brother's eye" (Matt. 7:5, NASB). It's much easier to point out the flaws in others than admit our own mistakes. But the truth is that if you haven't been corrected in a while, you're either perfect (spoiler alert: That's not it!) or you're unteachable. And if we want to lead for the long haul, we have to have room to grow, so having a teachable spirit is essential for every leader. We should use our words to connect and support, not for approval or to impress. "Do not let any unwholesome talk come out of your mouths, but only what is helpful for building others up according to their needs, that it may benefit those who listen" (Eph. 4:29, NIV). We use a lot of words these days. It's far too easy to give our opinions, share what's on our minds and look for approval in the wrong places. We must pay attention to the words we use and be intentional to ask ourselves questions to filter them before we speak, type or text: Is this beneficial for others? Does this build up? Our goal should always be to celebrate others more than we promote ourselves. "Do nothing from selfish ambition or conceit, but in humility count others more significant than yourselves" (Phil. 2:3, ESV). We live in a world where self-promotion is common and encouragement is rare. That's the exact opposite of the way God instructs us to live. We can't sit idly by and do what is common. We must pursue what is Christlike. The success of others matters more than my own success. "Love one another with brotherly affection. Outdo one another in showing honor" (Rom. 12:10). Leaders are typically pretty competitive, but there is one competition we don't compete in as often as we should: outdoing one another to show honor. We should constantly be looking for ways to step off the stage and shine the spotlight on someone else. The real way to lead is to serve. "The greatest among you must be a servant" (Matt. 23:11, NLT). I keep a piece of a towel on my desk to remind myself how Jesus was willing to wash the disciples' feet. Real leadership is driven by how well we serve others because that's what people willingly follow. Otherwise, our leadership goes no further than a title. We can often accomplish more by listening than speaking. "Know this, my beloved brothers: let every person be quick to hear, slow to speak, slow to anger" (James 1:19, ESV). This one is probably the hardest for me. Not only do I love to talk, but I am also a fixer by nature. But through the years, I've learned that my willingness to listen and my prayers often yield much greater results than my opinions and advice. Don't miss the wisdom of being slow to speak. We often rush to speak just so we can move on to the next thing. Slow down when you're dealing with others. We need to make sure we're treating people like people and not problems to solve. Raise your standard of giving instead of your standard of living. "Do not lay up for yourselves treasures on earth, where moth and rust destroy and where thieves break in and steal, but lay up for yourselves treasures in heaven, where neither moth nor rust destroys and where thieves do not break in and steal. For where your treasure is, there your heart will be also" (Matt. 6:19-21). There's a reason Jesus talked more about money than any other issue. It's a huge stumbling block for many on both extremes. But whether you live paycheck to paycheck or God has blessed you tremendously in your finances, generosity is the key to living as though all we own is His, and He has entrusted us to manage it. So if you want to prevent yourself from being mastered by money, remedy greed with generosity. God alone knows our greatest achievements. "By this [if you abide in Me, and My words abide in you], my Father is glorified, that you bear much fruit and so prove to be my disciples" (John 15:8). Abiding in God produces the greatest results with our lives. Abiding isn't something we do on platforms. Abiding happens in the quiet moments that no one else sees, but it's the foundation for every fruit that flows out of our lives. So if we want to live the loudest life of impact, we must focus on what God knows about us, not what others think about us. Michelle Myers is founder of she works HIS way, a ministry that encourages, inspires and trains women to pursue their passions in life and business while protecting the priorities that matter most. 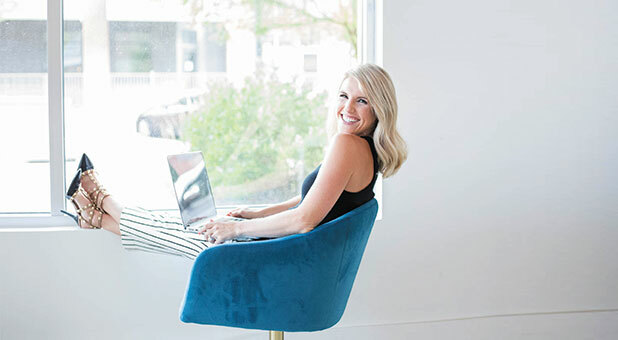 A mother and pastor's wife, author and entrepreneur, Myers previously launched two other businesses, Myers Cross Training and Cross Training Couture. She also is author of Famous in Heaven and at Home.